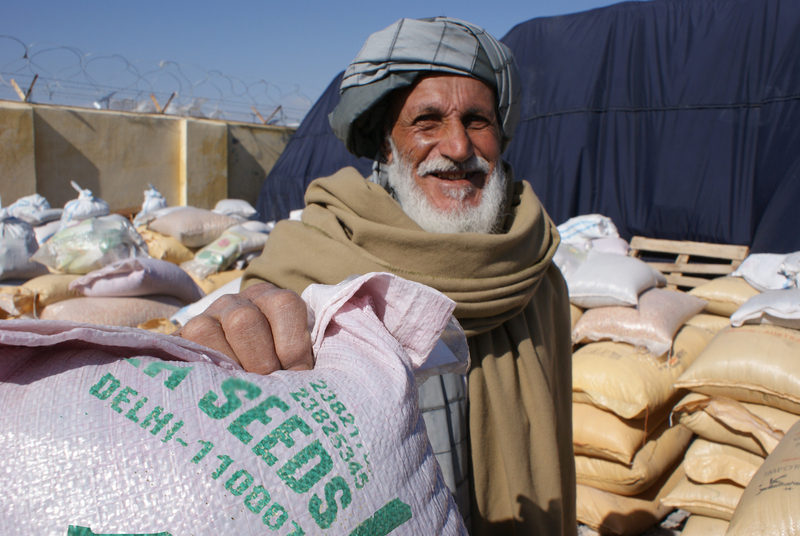 USAID is currently working to redesign food aid bags, potentially saving $15 million and 10,000 tons of food from going bad a year. The U.S. Agency for International Development (USAID) is the world’s largest food aid donor, contributing $1.5 billion in food aid annually. However, due to spillage and spoilage, USAID estimates they are losing $15 million worth of food every year – that’s enough to feed 200,000 families a month. USAID’s losses are situated within a larger problem facing food assistance efforts from the United States – U.S. law demands that all food aid must be bought in the United States, and that at least half of that aid must be packaged and delivered via U.S. ships. This system slows down food assistance delivery and increases chances of spoilage while food is in-transit. In order to combat the waste, USAID and the U.S. Department of Agriculture (USDA) commissioned a team from the Massachusetts Institute of Technology (MIT) to investigate how food aid is packaged and attempt to redesign more efficient and safe packaging. The team is experimenting with bags treated with a biopesticide designed to regulate bug growth. The biopesticide does not kill the bugs or prevent them from entering the food packaging, but instead prevents them from reproducing once inside. Such technologies can be utilized to avoid the need for fumigation, which can have damaging health impacts to those applying the treatment and increase the cost of delivering food. Currently, USAID is testing the new food aid bags in shipments to Djibouti and South Africa. The experiment results will be available by summer and will determine if the newly designed bags become a permanent thing of the future. Blumont food assistance programs employ a different method of food delivery, as we procure most food aid locally and regionally to support local markets. However, along the lines of USAID’s recent efforts, we continually strive to ensure that the food we provide is of the utmost quality. As such, Blumont successfully delivers food aid with an extremely low percentage of compromised goods. It is near impossible to deliver large quantities of food to communities in need without some type of spoilage, yet that is the goal that we must aim for in humanitarian assistance when every last bag matters. If and when USAID food bags are redesigned, we hope they can help to move humanitarian assistance even closer toward this goal. If you are interested in reading more click here.